"Just like Narendra Modi has not kept his promises, Mamata Banerjee has not waived the loans of farmers," said Rahul. “It is Congress which is fighting against BJP across the country and unlike TMC, which had been part of the NDA in the past, it has never aligned with the saffron party,” Rahul said. “Just like Narendra Modi has not kept his promises, Mamata Banerjee has not waived the loans of farmers,” he said. Referring to the Supreme Court’s judgement earlier in the day allowing ‘stolen’ documents for hearing in the review petition. Rahul said Modi had been exposed before the nation. Banerjee had blamed Congress for the rise of BJP and she accused Congress candidates in Murshidabad district — Abhijit Mukherjee in Jangipur and Adhir Ranjan Chowdhury in Bahrampur — of having a tacit understanding with the BJP-RSS. 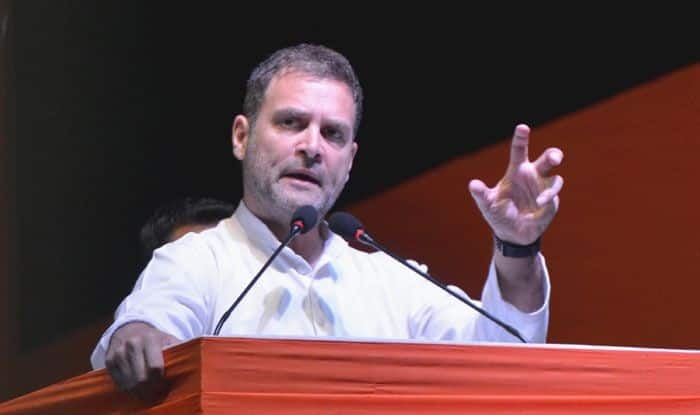 Referring to NYAY scheme proposed by the Congress which proposes to give Rs 72,000 annually to the poorest of the poor, Rahul said the funds would come from the pockets of industrialists like Anil Ambani and Nirav Modi who had looted the public money. “If Modi can put money in the bank account of thieves then Congress can also put Rs 72,000 in the bank accounts of poor and honest farmers. We keep our promises unlike Modi and Mamata Banerjee,” he said. The Congress president said that the party has waived all loans of farmers after coming to power in Rajasthan, Madhya Pradesh and Chattisgarh in December 2018. “If thieves like Nirav Modi and Mehul Choksi do not go to jail after looting public money, then why should farmers just because they have failed to repay their farm loans?” he added.